Owning a building is tough work. Whether it’s an apartment complex or an office rental, you are responsible for keeping everything in operational order. Sometimes, unfortunately, things go wrong: machines break down, thermostats stop working, and your electrical system shorts out. 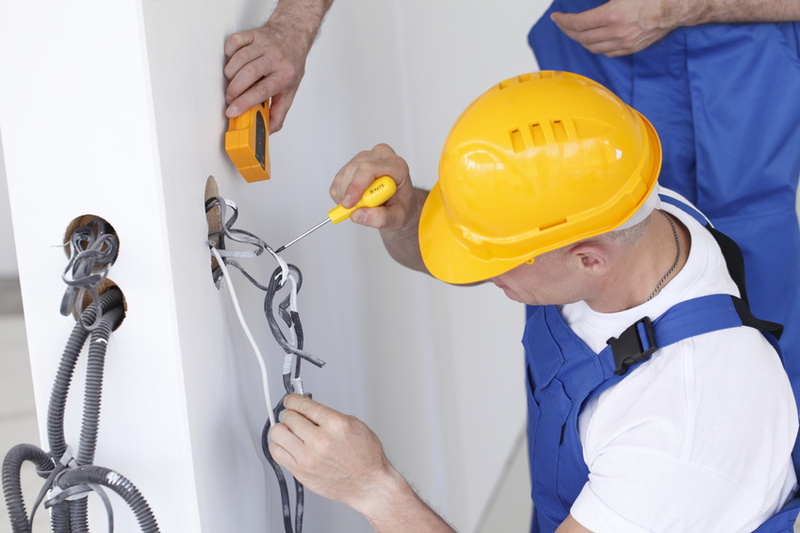 In your hour of need, you don’t want to be calling any old commercial electrician to perform electrical contracting work on your very expensive and very important power system. Just as in any mechanical contracting situation, commercial electricians come in all shapes, sizes, and skill levels; you need to do your research ahead of time to ensure you don’t end up with a schmuck that accidentally cuts the power in the entire building. Here are three things to look for. Trustworthiness: If you’ve already had high-quality service work performed in your building, it makes sense to contact the person or company that provided it for further needs as you know the work to be up to snuff. However, if your cousin Ronnie gives you the name of some guy and your gut tells you he’s not a real professional, it’s best to pass on his handiwork. Credentials: Working with electricity is not intuitive. It takes schooling, training, and a series of tests to gain the proper credentials and licensing involved in a commercial electricity position. Though a professional is likely to cost more than your cousin Ronnie’s contact, they’re also more likely to understand the vital safety procedures involved. References: If you’re starting from scratch and have narrowed several quality options down to a few, don’t be afraid to ask for references — if they’re skilled at their work, they won’t mind directing you to their previous satisfied customers. Most commercial electricians recommend getting your electrical system checked every three to five years, but your personal needs — such as the age of your building and how many appliances are running off of it — may push that date up. If you’re contacting somebody you trust, who is capable and qualified of handling your situation, and who has a history of success, your building will be up and running again in no time.